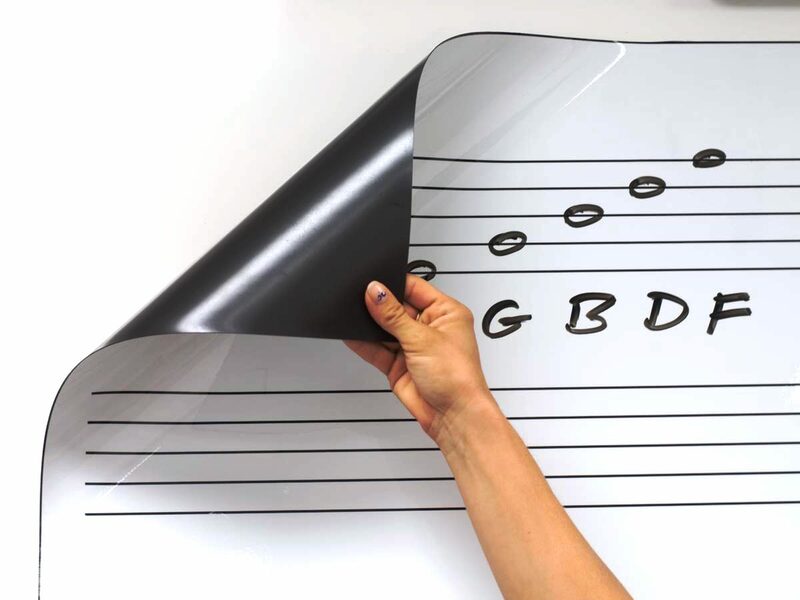 Use our roll up dry erase music staff magnet on any existing classroom magnetic dry erase or chalkboard instead of ordering a whole new board. These roll up music staff magnets are 45.25" tall and come in three different lengths of 45.25", 68.5" and 92.5" wide. 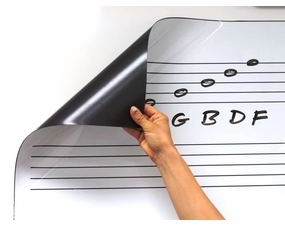 The heavy duty magnetic music sheet will stick securely to any smooth steel surface and the dry erase writing surface is really awesome. 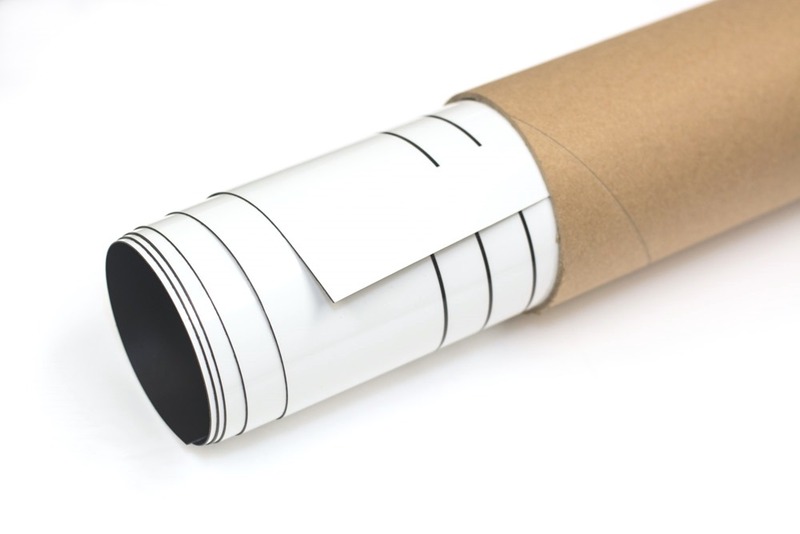 When you're finished using your magnetic music staff print for the day simply roll it up with the print facing out and store it back in the heavy shipping tube that it came in. 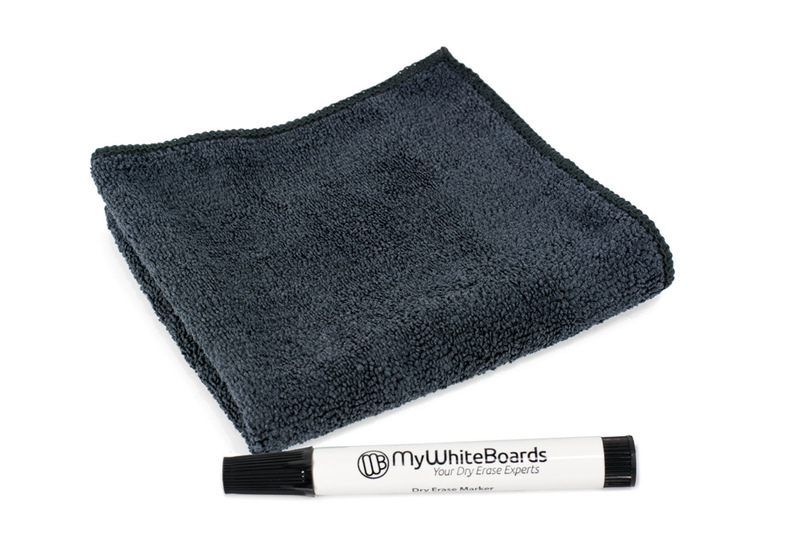 Every unit comes with an Opti-Wipe™ black microfiber wiper and a black chisel tip marker. All printed and made in the U.S.A. and school purchase orders are always accepted. 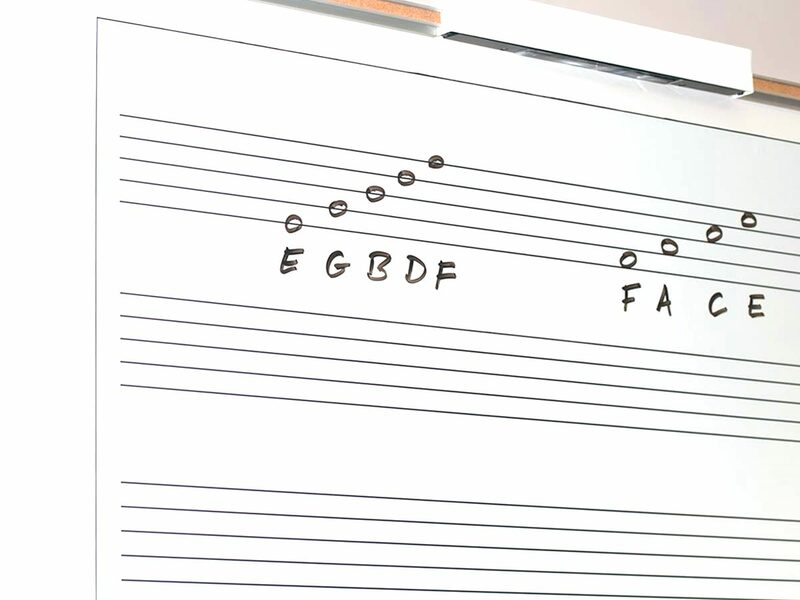 Five sets of music staff lines. Three Stock Sizes: 45.25" x 45.25", 45.25" x 68.5" and 45.25" x 92.5".